Exotic Palm Bay in Florida is known in the United States for its breathtaking outdoor scenery and naturally picturesque surrounds. Located in the middle of hubs Orlando and Miami, Palm Bay has amazing natural features for you to uncover, such as Turkey Creek, a protected plant and wildlife sanctuary, and Indian River Lagoon, where kite boarding is a favorite pursuit. On a trip here you will find glorious outdoor trails that cross the territory, as well as waterfront vistas that invite you to watch the sunset, and a range of summer activities that you can enjoy all year round. Whether you like a round of golf, an afternoon of relaxing fishing, or some adventurous kayaking, you will find it here, and more. 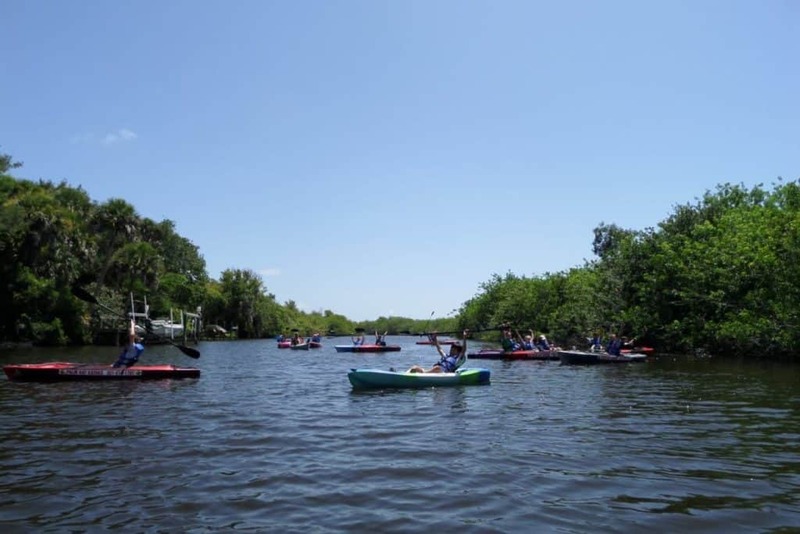 For those who have come to Palm Bay looking for some Florida adventure, look no further than Palm Bay Kayaks. The company will take you out around the stunning, and charmingly named, Turkey Creek Sanctuary and you can enjoy a guided tour of this eco site. Kayakers of all levels of ability are welcome to join in the fun, and there are tours at all times of the day and night, including around sunrise and sunset when you can enjoy spectacular vistas over the water as well as an abundance of wildlife. There are even full moon trips when you can go out at night and summer bioluminescent trips, also at night, if you want to do something truly memorable.